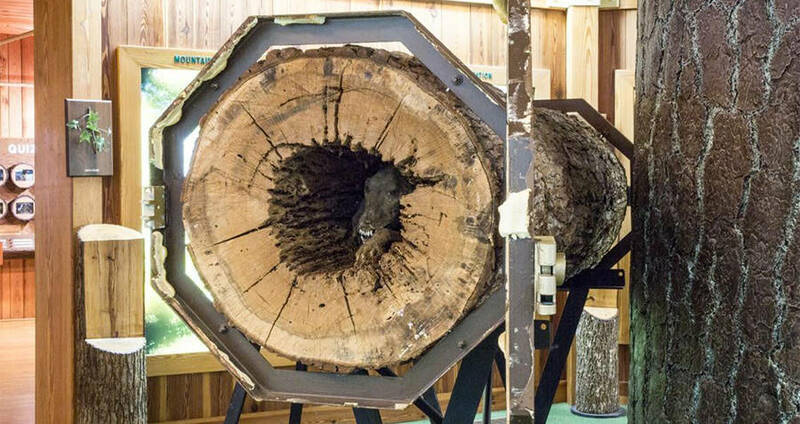 Imagine chopping down a tree only to discover the remains of a dog stuck down the center for a few decades. For a group of loggers working with Georgia Kraft in Southern Georgia, in the 1980s, this was something they never in their wildest dreams expected to find. 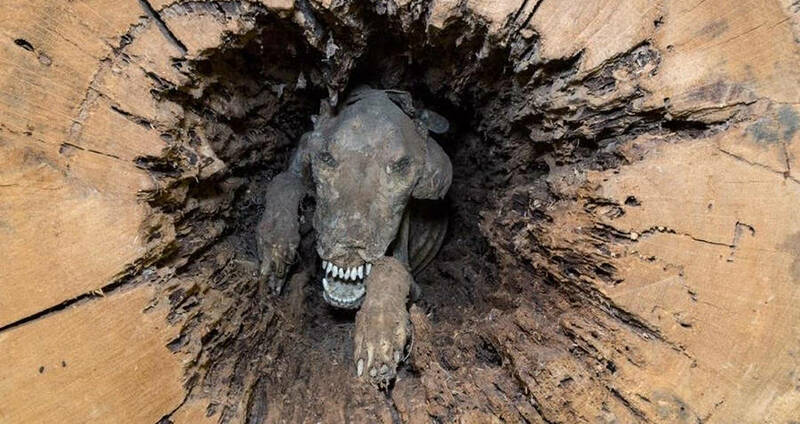 Loggers often find the remains of birds or nests when they're chopping down trees but to suddenly chance upon a mummified dog, right down the center of the trunk would have definitely been a rare event. The mummified animal was discovered by a member of the team after the top of the chestnut tree had been cut and loaded into a truck to be transported. Out of curiosity, the man peered down the hollow trunk and was quite horrified to see a dog with its bared teeth staring back at him. The carcass was studied by a group of experts who believe that the most likely reason for the dog to be stuck up the trunk was a chase that had gone wrong in 1960. The pup was probably a hunting dog who had ventured into the hollow trunk while chasing a squirrel or some other smaller animal. As the dog climbed higher, the tree got narrower, resulting in the dog getting trapped inside. The experts believe that the dog did not give up the ascent and eventually got stuck which resulted in its death as it could not turn around. The strange case of the mummification was further explained by the experts. Since the dog had wedged itself into the hollow of chestnut oak, the mummification process would naturally occur because of the tannins in the tree. Tannins which are secreted from the chestnut tree seeped into the hide of the animal and prevented it from rotting inside. Stuffed animals used in taxidermy are usually treated with tannins to prevent decay. The carcass of the animal remained safe from the elements of nature inside the dry tree trunk which also helped in sucking out the moisture from the animal. The air from the base of the tree further helped in the process of drying by creating a vacuum effect. If the dog had been stuck in any other tree or died in the wild, its body would have probably decomposed and then been eaten by foragers but because it had died at such a height, other animals would not have been able to smell it or reach it. The mummified remains still encased in the wooden tomb are now preserved at the Southern Forest World Museum. “Stuckie” the dog, is a big draw for visitors to the museum.